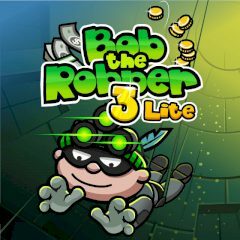 Meet Bob the Robber again and help his along the quest. Look at the buildings' perspective and spot all difficulties out hero may experience. Be ready to disable guards or alarm systems and get what you came after. Collect tools that might be useful in your craft and complete the level without being seen.